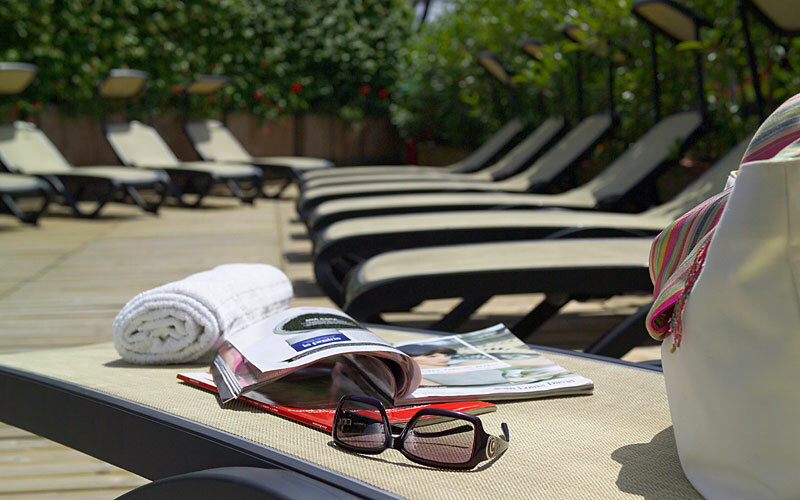 Hotel Ambasciatori has been designed to cater for all those clients wishing to experience a vacation dedicated to sport and wellness, whilst enjoying the highest levels of comfort. 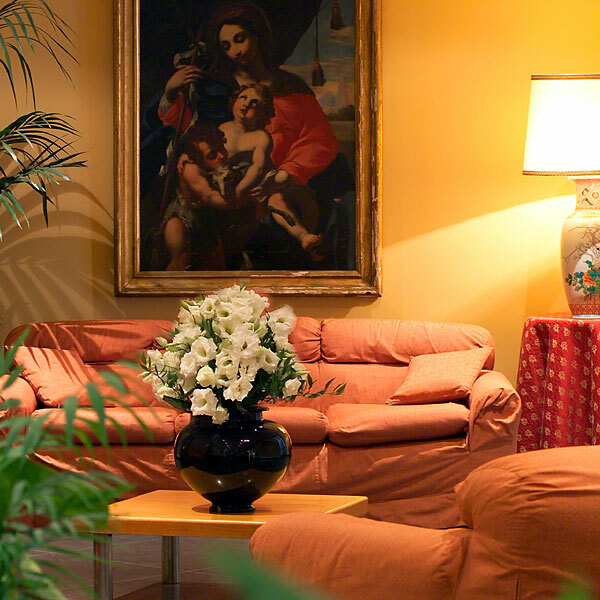 The hotel is situated in Fiuggi, in the heart of the Ciociaria, within easy driving distance of both Rome and Naples, and immersed in a landscape of immense beauty. 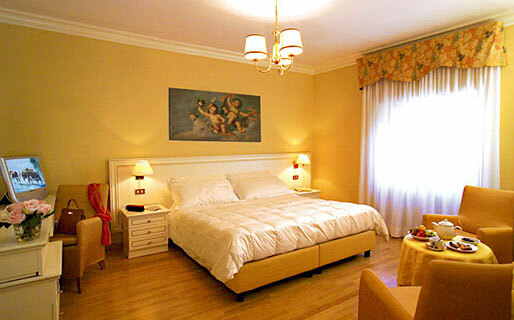 Guests staying at the 80 room hotel sojourn in elegant, classically furnished rooms, equipped with every modern comfort. Hotel Ambasciatori offers an excellent range of facilities for those travelling with children, including the ever popular Junior Club. 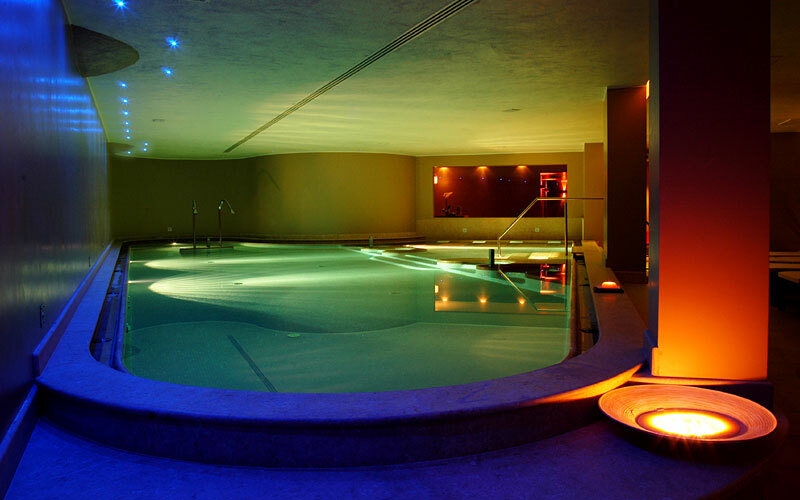 For the grown-ups, there is the Tangerine Spa: complete with heated swimming pool, hydrotherapy, Turkish bath, biosauna, frigidarium, Nuvola tub and rain showers. Hotel Ambasciatori is perhaps best known for its state-of-the-art conference center, comprised of eight high-tech rooms where to host conferences, meetings, seminars and all manner of corporate event. Excellent local dishes, bursting with the aromas and flavours of the Ciociaria, are served to guests dining at the Hotel Ambasciatori's restaurant. In addition to fabulous regional cuisine, the chef and his team also conjure up delicious barbecues and appetizing light lunches. 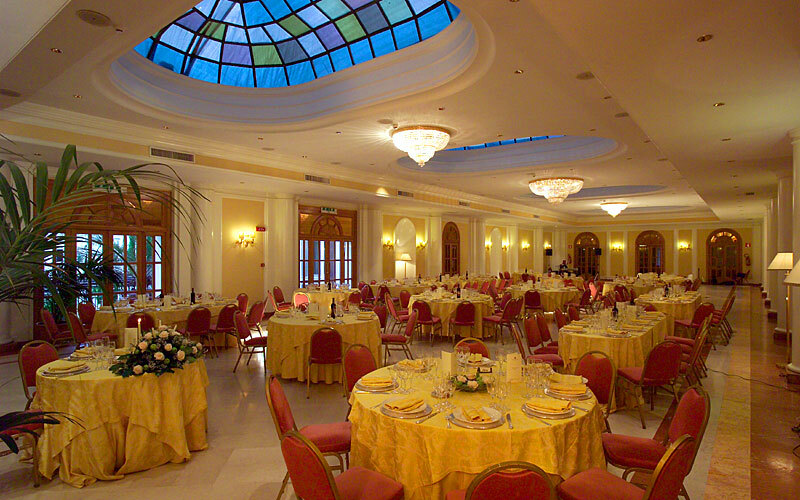 The hotel's large dining room is the perfect setting where to host an important gala dinner or wedding reception. Hotel Ambasciatori is located in Fiuggi, a small medieval town in the heart of the Ciociaria and within easy driving distance from Rome and Naples. Fiuggi's vicinity to the Italian capital and the country's principal road network, makes it a favourite choice of destination for high level business meetings and conferences. Fiuggi is famous for its natural spring waters, which surface at Fonte Bonifacio VIII and Fonte Anticolana. The stunning countryside surrounding Fiuggi is home to a great number of monasteries including the Charterhouse of Trisulti and the Abbey of Subiaco and ancient, medieval villages such as Anagni, Alatri, Fumone, and Torre Cajetani.